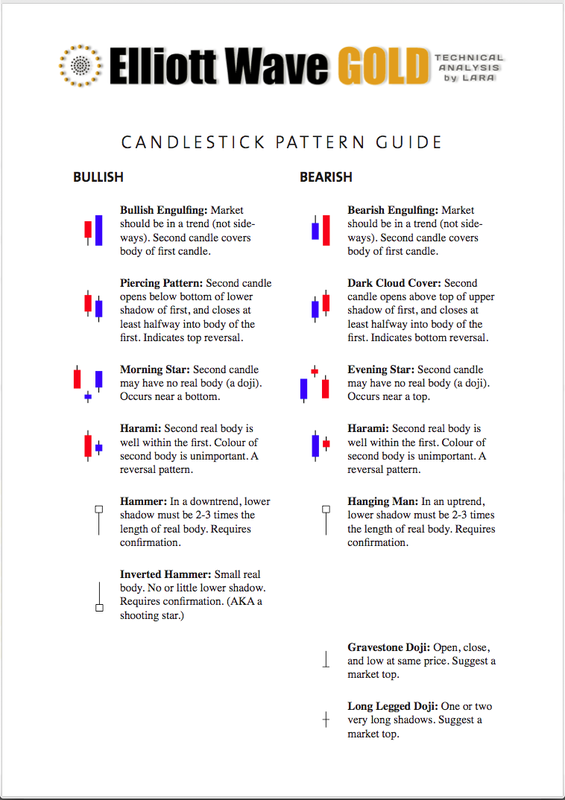 Last analysis had two targets for upwards movement. The first target at 21.872 has been reached and slightly passed (by 0.176 to 22.048) and the structure is complete. I expect upwards movement to stop here and a sideways correction to begin which should last about 18 days. I had expected minute wave iii to end in either a Fibonacci 13 or 21 days, and I had favoured the longer duration. I now expect that it is over and it has ended in 13 days. I expect the upwards trend to be interrupted here by a sideways consolidation for minute wave iv. Minute wave ii was a deep expanded flat correction. 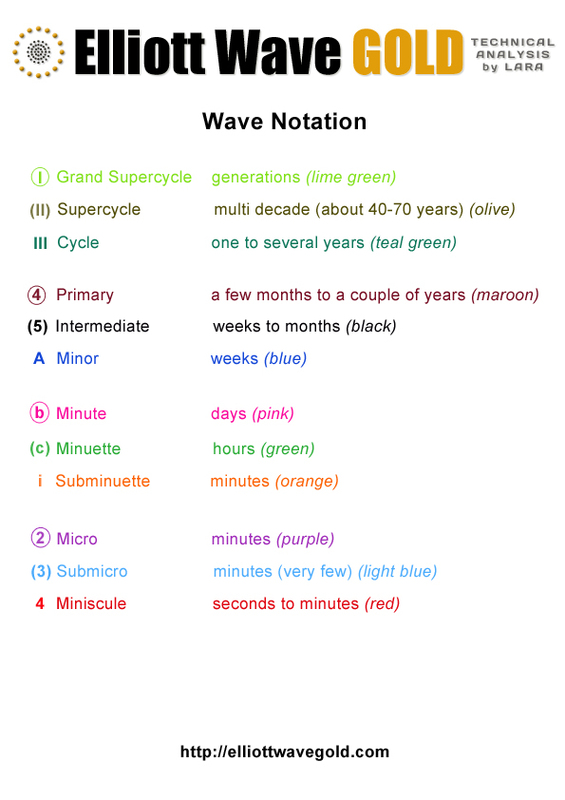 Given the guideline of alternation I expect minute wave iv to be a double combination or triangle. It is most likely to be relatively shallow ending about the 0.382 Fibonacci ratio of minute wave iii at 20.793. Minute wave ii lasted 18 days. I would expect minute wave iv to be about the same duration. Use Elliott’s first technique to draw a channel about minor wave C. Draw the first trend line from the highs labeled minute waves i to iii, then place a parallel copy on the low labeled minute wave ii. 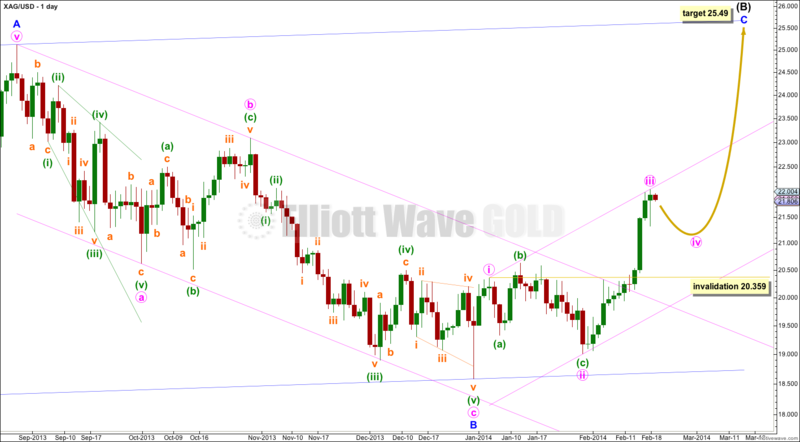 I expect minute wave iv to find support at the lower edge of the channel, if it gets down that far. Minute wave iv may not move into minute wave i price territory. 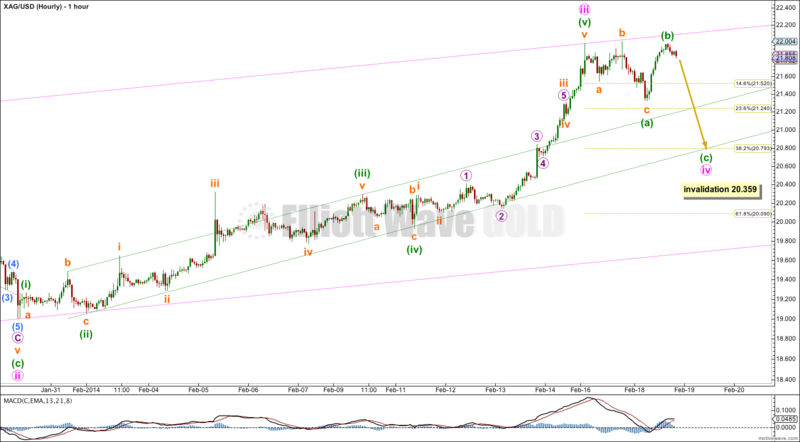 This wave count is invalidated with movement below 20.359. Hello lara, I really like your webpage. Thank you for sharings. My head is really mixed like others.. Analysis 18 feb 2014: silver will reduce (from 21,8 to 20,8 ) % -5.
if gold drops %12 silver can drop minimum %15..This %5 makes my head mixed too..
Look at the history of Gold and Silver in their charts, particularly weekly charts which show a longer history. They usually turn together (not always) and their wave lengths are usually different. I really fail to see why anyone would expect them to move completely together. If you do, then you are expecting them to change their behaviour. thank you for reply.you are right, anything is possible. gold 1170 silver 20,8.. gold silver ratio = 56. sure it’s possible. Why do you think Silver is going in the opposite direction of gold. That is a bit unusual is it not? Why do you think I’m predicting opposite directions for Gold and Silver? Gold has a curved arrow which shows downwards movement at this time. Silver also has a curved arrow which shows downwards movement at this time. The only difference is in the depth of downwards movement; I expect Gold to move deeper.